Kitchen design seems to be quite popular in this forum these days - along with space ships. As I don't have any of the latter I will introduce one of the former. 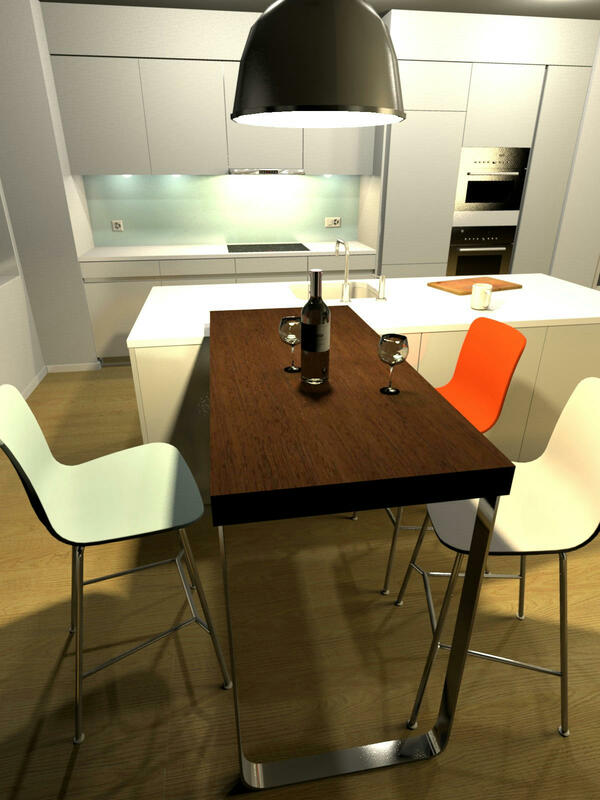 This is the model of our actual kitchen that will be built into our new flat. In about a year's time I will be able to post photos of the real thing, so be patient. There is of course more to the flat than just the kitchen so you can expect some more pictures of the other rooms as my work progresses. Btw, thank you Emmanuel for providing such a great software at no cost. Please support Emmmanuel's work by clicking the donate button below like I did not too long ago! Bottle,chairs,floor,table and etc., look good quality. but much lighting in sink slab top side. much lighting in sink slab top side. But i think the impact of lighting was more between the cabinets. Always. Which is perfectly understandable. 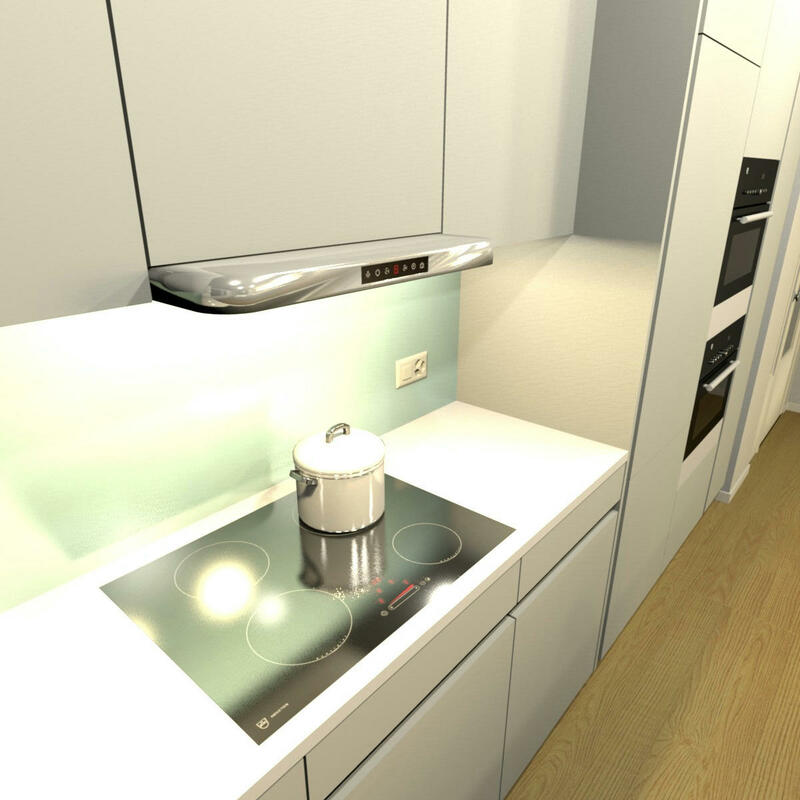 Making a good kitchen can be quite challenging and SH3D is an ideal tool. Very nice rendering and very nice kitchen. Clearly well thought through. Which makes me curious why you do not bring the top cabinets all the way up to the ceiling? Not only for storage, but to avoid the gap between ceiling and cabinets which can be difficult to clean. I did that in my kitchen. 2 storey of Ikea kitchen cabinets : The top one for the objects I use once or twice a year ("fondue" machine, christmas decoration, etc...). You need a stool to get them but it avoids the dirty gap on the top of the cabinets. Very practical! But I must point out that my flat is old with a ceiling quite high. Except bdfd and I, nobody has seen that these are old pictures ?